MALAYBALAY CITY (BukidnonNews.net/ 14 March 2018)—The tribal wedding I attended this morning ended at almost three o’clock in the afternoon. The ritualists dismissed the six newlywed couples after blessing them with prayers. The size of the attendees, as I estimate, is just an inch compared with the jam-packed audience in the almost-nightly concerts in the Capitol Grounds. Many do not know that a wedding is the very reason of celebrating a kaamulan. In other words, wedding precedes kaamulan. This idea is difficult to understand because we have been celebrating Kaamulan for 40 years, since it started in 1977, without maintaining the very essence of celebrating it. Its root word is amul, which means mix, add, combine, converge, unite or get together. Those words refer to the respective families of the couple to be wed where there is mixing, adding, combining, converging, uniting or getting together of two families or clans. There is kaamulan if there is a wedding. However, the Kaamulan Festival failed to include the foundation of this activity, anchored to the idea of marriage. This is a result of institutionalizing Kaamulan, originally a sacred activity, making it a secularized yearly cultural activity of the province. It is not surprising in seeing Kaamulan as a “commercialized activity,” as what concerned citizens say. Kaamulan is associated with Bukidnon culture and with the known seven tribes in Bukidnon. It will always be in that manner despite its secularization. 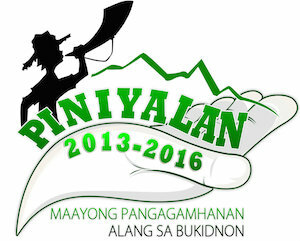 In fact, that’s how we advertise it to the world, how we feature the Bukidnon’s indigenous peoples’ culture and history. But our celebration falls short the expectation of many and I would say that this is just but the product of secularizing, not necessarily desecrating a portion of culture that is sacred. I can cite a few instances. Dugsu, a ritual dance, is only executed before a bangkasu (a sacred table). It cannot be performed in the street (dancing). The dugsu dancers maintain their position in facing the steady bangkasu as they revolve around it; and this is impossible to do in the street. Bringing a bangkasu in the street is a grave violation of the exclusivity of a certain sacred material culture. The dugsu, like the bangkasu, has to be placed in an exclusive space and time. Dugsu cannot be performed and the bangkasu cannot be used anytime and anywhere. But this is the result of secularization. Few symbols and designs used in many ethnic attires of the government employees are supposed to be exclusive to indigenous leaders like the Datu. The degree of leadership is expressed by tiers of symbols. The outfit of the dadarantulan ha mga datu, the high ranking datus, are equipped with multi-layers of symbols (3-tier symbols signifies higher degree of leadership). Today, such symbol is in anyone’s ethnic attire and eventually loses its significance. Secularization is part of social evolution. It may happen when there is a massive exposure and reproduction of culture objects or concepts. Chants, for instance, are recorde in compact discs, performed onstage, and endorsed to the public. We no longer have the full control over these culture objects and concepts once they are already accessible to the public. The current issue on misusing the term Bagani in a teleserye is possibly a product of over-exposure of indigenous concepts shown in art, music, dance or in literature. It is true that the word Bagani is among of the Manobo culture but ownership is liquefied once it is exposed to the public via researches, art exhibitions, fora, and newspaper columns among others. We have to embrace it and pay the cultural cost. This cultural cost becomes more expensive when we endorse the culture to the hands of the artists. This is not a crime but the artists cannot afford to carry the ‘weight’ of the culture. Kaamulan is characterized as a tourist attraction and not as a way of life that it requires the artists to add or to subtract elements just to satisfy the expectations of both local and international tourists, sometimes setting aside the protocols of staging a culture. Staging the street dancing of various tribes as a contest is already a solid reflection of secularization. No rubrics can complement the execution of the authentic music and dance of the tribes. Kaamulan is not exclusive, but dedicated, for the indigenous peoples in the province and its participants from all walks of life who bear various ethnic affiliations. The idea of conducting street dancing, for instance, was born from the minds of few people in the 70s. There was a spirit of exclusivism at that time but its scope expanded when it became a regional cultural activity in Mindanao. Since then, Kaamulan is no longer an exclusive property of the IPs when people started to traverse places in vast numbers just to see Bukidnon and experience this cultural activity. These massive groups of spectators also bear a culture that amalgamated with the culture of Bukidnon eventually, at least, during Kaamulan. This explains why many ‘cultures’ are present during the celebration. Schedule of concerts in the Capitol ground is a combination of traditional and non-traditional music. Exhibit booths accommodate material items both from Bukidnon province and from southern Mindanao. Some activities are ecumenical in nature though we have the famous street dancing, tribal wedding, Pinilyapan: a night of Bukidnon dances and music, ethnic sports, soil-painting workshop and other activities that define the essence of Kaamulan. There is no such thing as ‘exclusive’ in terms of culture because of its adaptability and dynamism. How is Kaamulan faring these years? Its changing schedule, October was changed to March, reflects non-dominance of time and space. Its flexibility is not necessarily a desecration of its nature. It simply means that Kaamulan is not exempted to the changing landscape of social structures. It becomes unpredictable not only in terms of time but also in terms of content. This is a sign that Kaamulan is entering into an engagement with modernity. The result of this engagement is secularization. Is there a way of turning back? I would say, no. Is there a way to preserve the Kaamulan? I would say, yes. A secularized Kaamulan can be managed using the concept of the universality of culture. Despite the so-called “commercialized” and “colonized” Kaamulan, its identity remains intact because of many concerned individuals, such as those Facebook friends who expressed their sentiments and suggestions for the Kaamulan. If those people, including myself, would find time to meet, talk and lend help to LGU-Bukidnon, the authenticity of Kaamulan would be assured. I am thankful to Bai Moupiya of Kibungkug, San Fernando who gave me a Tigwahanon talaguan (container) as a gift. I can put a ‘foreign’ accent to it without destroying its authenticity. It would be a special container for my ipo, a special thing for an intended purpose. 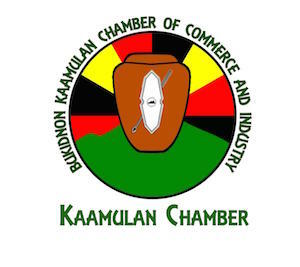 Bukidnon’s Kaamulan could also be an ipo. Though secularized, it remains special for an intended purpose.